SO LET SOME DAYS BE MORE SPECIAL THAN OTHERS. Reflecting the contemporary lifestyle and easygoing attitude of Koh Samui, New Star Beach Resort is a place where guests can truly feel at home. Situated on peaceful Chaweng Noi Beach it is a hideaway for couples seeking tranquility, comfort and personalized service in a tropical garden setting with a 200 meter oceanfront. Just minutes by foot from Chaweng, with all its cultural and dining attractions. New Star provides a spacious and stylish beach environment in which to enjoy some of life’s better moments. 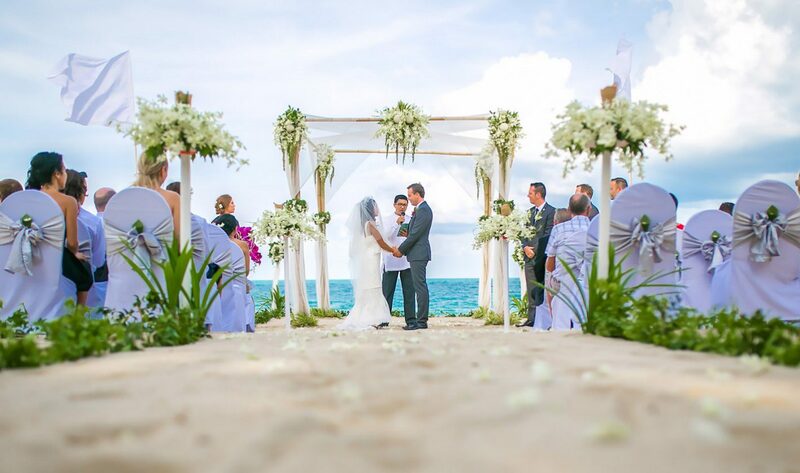 Experience a once-in-the-lifetime event right on the beach of Chaweng Noi, from the white orchid entrance down to the sandy aisle. 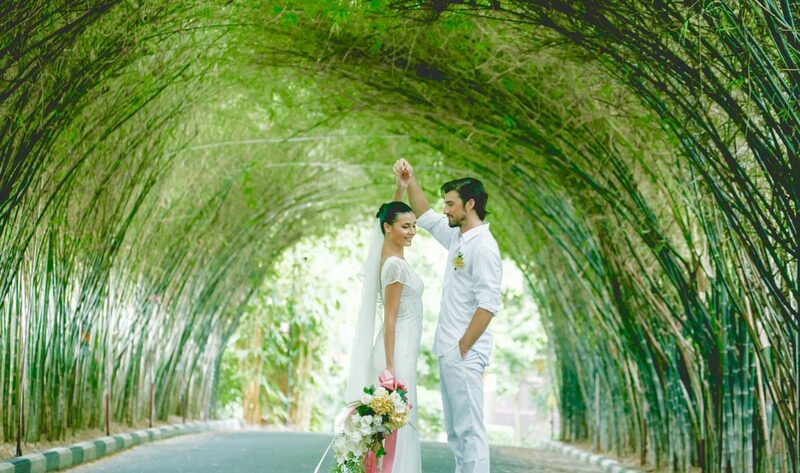 Say I do with the witness of the Gulf of Siam where the only horizon is the boundary of love. 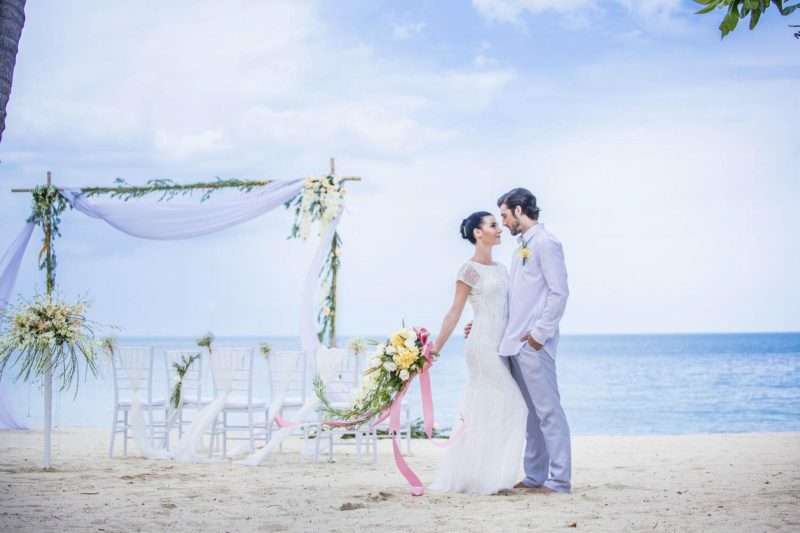 Custom design your Samui wedding with free of charge of personal wedding planner. New Star Beach Resort, your ideal choice to create your dream wedding or to spend your once-in-a-lifetime honeymoon. It s a hideaway for couples seeking tranquility, comfort and personalized service on the largest and longest white sandy beach with a 200 meter oceanfront. New Star provides a specious and stylish beach environment in which to enjoy some of life's better moments. New Star Beach Resort wedding packages are designed to suit your diverse needs. 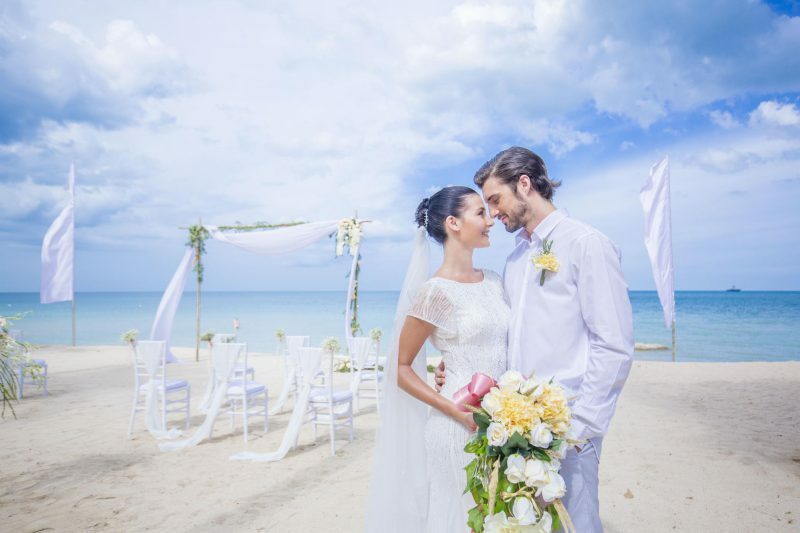 Whether opting for a beach western wedding or Thai Traditional wedding ceremony, We can help organize your special day whether it is just the two of you or have company. 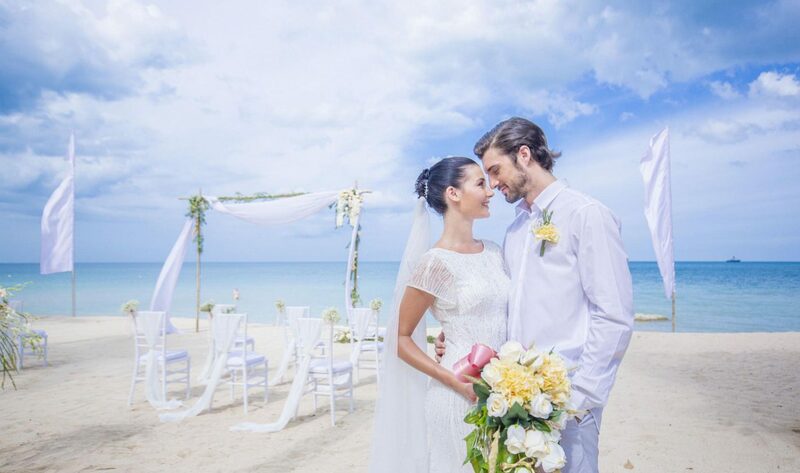 From floral arches to bridal bouquets, catering, music band and wedding cake to sparkling wine, we pay attention to each and every aspect of wedding so that you are left to enjoy the most unforgettable Koh Samui wedding day of your life. Horse ride on the beach 12,000/hr. Thai classical live music (Khim) 5,000/hr. Thai cultural show 4 set 12,000/hr. Extra accommodation, cocktail & dinner reception are not included. Price is inclusive of tax and service charge. Special accommodation group rate are available on request. Video and photo shooting NOT include in our package. Details of procedures shall be explained in advance before the ceremony. A 50% deposit charge of the wedding package including optional services is required upon confirmation of the booking. Remaining balance amount must be paid one week before the wedding date. Cancellation received 01 – 30 days prior to the wedding date is subject to a 50% charge of both the wedding package and optional service prices.